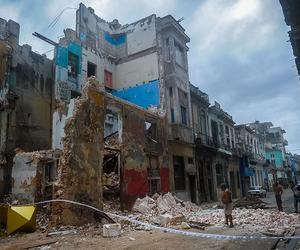 Taking into account the severe damage caused by Hurricane Irma and the positive experiences gained during the recovery of Hurricanes Sandy and Matthew, the Cuban Government decided that the State budget will fund 50 percent of the price of construction materials to be sold to people affected with the total or partial destruction of their homes. 1- The Defense Councils will certify the magnitude of the damages caused in each house and will approve the resources to be assigned to solve the affectations produced. 2- For the acquisition of the materials, the victims will be able to request bank credit at low rates of interest and return it in greater number of years. 3- In cases of total collapses of houses and roofs, the State Budget will assume the payment of interest to the Bank. 4- For those whose incomes are not enough to meet the expenses, the Defense Council will evaluate the approval of subsidies for the purchase of construction materials. 5- Exceptionally it is approved to grant subsidies for constructive actions in the houses to the people that were object of this benefit previously and to those who maintain debts by bank credits granted by this concept.